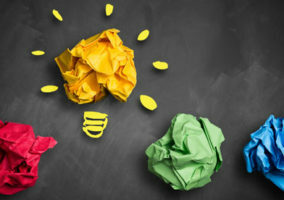 In this article, Craig Rich introduces knowledge management in the contact centre, highlighting mistakes that are frequently made. 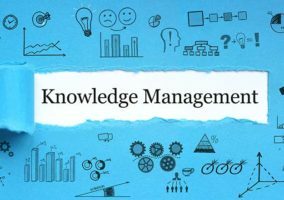 Knowledge management is usually defined as a discipline used by organisations to identify, capture, create, distribute and share information to various stakeholders. The correct use of knowledge in a business should be about systematically making use of relevant information held within people and systems to address a specific company problem. Think of knowledge management as the complete end-to-end process, and this process uses one or more KMS to improve efficiency, handle workflow and enable easier sharing of information. Formal and systematic, and usually in the form of written documents, it’s easy to communicate and store, such as information found in documentation, books, instruction manuals and on the web. It can also be in an audio or visual form such as instructional diagrams or videos. Typically, the information held in people’s heads. The trick is to either enable them to share this information via tools and processes or to connect these people with those needing the information. Information stored within policies, procedures, legal documentation and other unstructured data (such as social media). This can require observation, insight and analytics tools to identify this knowledge. It is important that any organisation looking to manage knowledge effectively has the ability to identify, capture, categorise and share each of these information types. Often, when a simple KMS is introduced, the focus is purely on creating a repository for Explicit knowledge, forgetting about the other types. While there is much more to say about the different types of knowledge and the different types of system that can manage knowledge, the challenge is more fundamental – how do you keep this information fresh, current, and relevant? Having spent many years working with smartphone manufacturers and network operators on their knowledge requirements, one of the things that I noted was the sheer complexity of trying to manage a fast and constantly moving influx of information. Converting this into what we call “Evergreen” knowledge is the real trick in trying to get this problem under control. It is very easy to simply keep throwing new articles, links and other assets at the knowledge system, and assume that “more is best” when it comes to knowledge. A lot of huge organisations do exactly that. Then they wonder why customers and call centre teams get confused as to what is relevant and how to navigate the mess of information presented to them. What does the data tell me about usage? What does the data tell me about relevancy? What needs to be edited or altered? How often should we review? What is the half-life of any given content? What is the value of any given content? Where did the knowledge come from? Can we trust the source? Remember that knowledge doesn’t manage itself, but answering the questions above will go a long way to helping. Many teams will put organisational structures, systems, and processes in place to ensure this is managed on an ongoing basis. Meanwhile, some companies choose to outsource their knowledge requirements – something I like to call “Managed Knowledge” or “Knowledge-as-a-Service”. Contact centres use knowledge management primarily for sharing information about common customer and company subjects. These range from basic ‘frequently asked questions’ (FAQs) through to more complex technical or process-related information. One of the main purposes of sharing knowledge within a contact centre is to ensure that information is readily available to all team members. One of the main purposes of sharing knowledge within a contact centre is to ensure that information is readily available to all team members. This information should be the latest and most accurate on record and there should be a common source for it, which should become an obvious place for the team to go when seeking information. Usually, this is in the form of a searchable knowledge repository (a knowledge base) or more basic form such as a wiki. Contact centres are one of the richest sources of business intelligence (BI) data within an organisation. Structuring knowledge management processes accordingly will allow for this data to be enhanced and supplemented. Correct design of a taxonomy and appropriate metadata will allow this data to be used by many other parts of the organisation in decision making and strategic planning. If applied and planned strategically, knowledge management will allow the contact centre to be the heart of the organisation, demonstrating value far beyond the basic customer interface. Knowledge management is an often-overlooked requirement of an omnichannel customer service strategy. One of the key tenets of a well-planned omnichannel strategy is the need to offer a consistent experience no matter what channel a customer is being served through. If they talk to you on the phone, are served via a webchat (or chatbot), have sent an email, or are serving themselves on a website, they should get the same answer to their query. This means that designing knowledge management as a key element of your overall customer experience, not just your contact centre operations, is crucial to its success. Improved contact centre metrics such as Average Handle Time, First Contact Resolution and Customer Satisfaction. Lowering the Time to Competency for new employees. More accurate call logging, and reduced after-call work (ACW). Enabling wider sharing of information across the whole organisation. Operational efficiencies communicating key information more quickly. 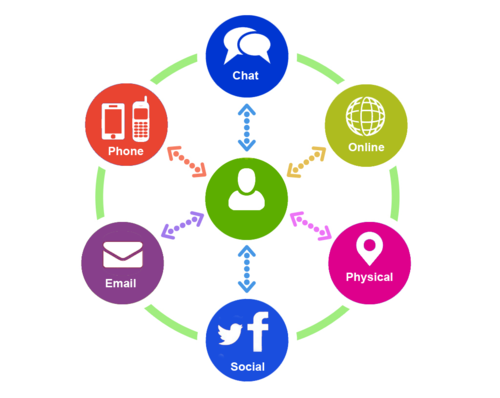 Consistency across an omnichannel implementation. Ability to create a “trusted source” or a “single source of truth” for key information that needs to be shared either internally or with your customer base. A source of intelligence to help product teams improve future versions of products or services. Enabling emerging technologies such as AI, chatbots, robotic process automation. Knowledge management can be hard. There are many technology companies out there that purport to have all the answers, but – trust me – there is so much more to the discipline than deploying a platform. Often, organisations leap into knowledge initiatives without proper planning or strategy. So, what are the common mistakes? Technology companies like to present their product as a solution to the problem. Often, companies considering knowledge management immediately look for a technical solution as the first action. Combine the two and you will not believe how many companies leap in to purchase a knowledge system without fully considering the need. Companies believe that implementing a KMS will ensure that processes are embedded, workflows implemented and that everybody will use the system. As with any technical solution, this is rarely the case. A KMS should reflect the real-world need, adopt (and improve) the existing processes, and ultimately ensure efficient and effective delivery of the requirement. Deployment needs to be carefully planned as a change initiative, as the make-or-break of any knowledge management initiative is in the adoption, usage, and embrace of your staff. Technology can certainly be the catalyst for change but it is not a self-contained answer. Many organisations will immediately employ or promote someone into a Knowledge Manager position. This is fine in general but can have unintended consequences if not planned as part of a broader organisational design and cultural consideration. In isolation, a Knowledge Manager has an incredibly difficult task. They may be viewed as the one, single, person responsible for fixing the ‘knowledge problem’. In reality, knowledge should be of concern to everyone – a little like how Toyota famously view quality. Contact centres will want to create an environment where many people care about knowledge, understand the value, and are actively willing to contribute. We call this a Knowledge Culture. It is important to have people focused on executing the strategy, so the Knowledge Manager is key to getting things done. Of course, it is important to have people focused on executing the strategy, so the Knowledge Manager (or even a Chief Knowledge Officer) is key to getting things done. My point, however, is that this needs to be part of a broader organisational design, and cultural plan, that considers the requirements of the knowledge strategy. Looking at knowledge management, its natural home is within the contact centre environment. Often IT departments are responsible for implementation, but the budget holder and initiative owner reside within the contact centre. However, consider the fact that knowledge management can be viewed as a holistic requirement that can have a positive impact on multiple parts of the company. 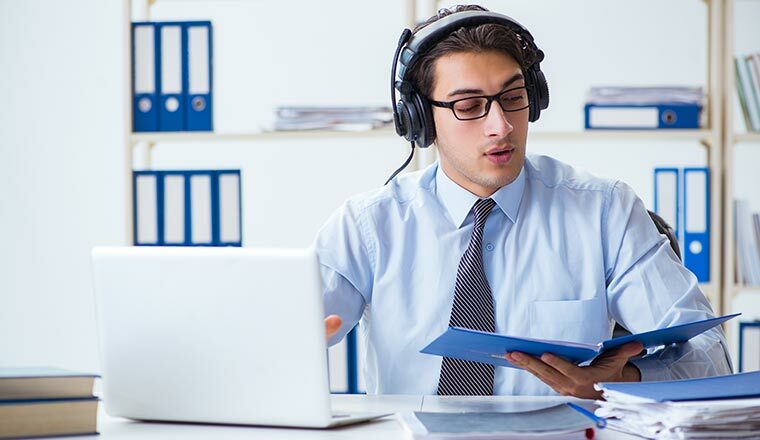 Viewing knowledge as purely a requirement of the contact centre means that some of the intrinsic benefits of a company-wide approach to knowledge may be lost. I have seen a fair few implementations where the contact centre has developed the plan, executed an RFP, and implemented a solution that does not take into consideration the needs of other teams. So, who should own it? Well, this is largely dependent on the organisation in question. I have seen successful implementations led by Marketing, IT, cross-functional knowledge teams, and by the contact centre itself. No matter who owns it, there is an imperative to ensure all stakeholder needs are considered. In researching customers and prospects, I often make a bee-line for their web self-care environment. This gives me a good idea as to how mature their knowledge management implementation is. It is not surprising that many of these sites include a lot of FAQ information but not much else. Knowledge management absolutely should cover FAQs, but this should not be the only information. There are huge amounts of information, from set-up guides, troubleshooting, process information, simple fact-based information to interactive simulations and video help. It is important to set out to determine the types of knowledge that you will be managing, their relative importance, the relative overhead of maintaining them, and what your target audience will need. Then, and only then, should you scope a system that can handle each type of data. Choosing a system first, and then conforming to what it is capable of managing will only lead to frustration and wasted time and effort. Many times, knowledge management processes and systems are developed in isolation from real-world practice. Many times, knowledge management processes and systems are developed in isolation from real-world practice. Developing a knowledge strategy using similar disciplines to product management will help in considering what each type of user (a persona) will need from it, and how it relates to their existing world. For instance, contact centre staff have existing processes, existing systems, SLAs to deliver, and existing real-world pressures that should be taken into consideration when designing a solution. This helps to ensure that the processes and systems are not overly onerous and fit in well with minimal disruption to the daily workload. Not only will this make delivery easier, it will also make target metrics more achievable. And, crucially, it will help with user adoption, which is often the single most difficult challenge in implementing these initiatives. Creating working groups representative of each persona will allow for this to be taken into account during the planning cycle. Successful knowledge management implementations use as much data as possible to determine what knowledge is required. Taking data from the contact centre is an excellent source to understand what kinds of enquiries are being handled. In fact, call disposition data is a great way of initially setting up a structure to your knowledge plan. Other sources that are vital to keeping knowledge fresh are social media feeds, company-owned and third-party forums, staff ideas, customer input and general web search. Each of these sources will have a different level of trust that you may wish to apply – you don’t want people randomly pasting information into your knowledge systems without some form of diligence in place. Data of this nature is useful not only as a source of knowledge but also as a guide as to how useful, how valuable and how relevant specific pieces of knowledge are. Ignoring this data means you are planning in a void, and you will be guessing as to what is most appropriate to service your needs. Ignoring this data means you are planning in a void, and you will be guessing as to what is most appropriate to service your needs. ALSO – while Google is guaranteed to be a popular source, the primary goal of any KMS should be to ensure that your KMS is the go-to tool for information, NOT Google. Best practice for knowledge management is to develop a taxonomy – or a way of grouping things according to certain similarities. This is hierarchical, and is ideally not too deep, and not too wide. Getting this right helps in the management, reporting, and curation of your data. It also means that your information is more easily discovered. Tagging your knowledge with relevant metadata is also enormously useful in helping users find the content, and to allow for insights to be derived from reporting. Often, organisations start out with a flat “one size fits all” approach. They implement a knowledge base and fill it with anything and everything they can find. This leads to a big pile of data with no sense, no meaning, that is almost impossible to navigate and a complete nightmare to manage. Pre-planning structure and approach means more successful curation, easier navigation, easier planning and much more accurate reporting. As mentioned earlier in this article, knowledge management has significant benefits across an entire organisation. In best practice, all departments will have the ability to use the knowledge ecosystem for their own purposes, but with shared areas where collaboration can take place. For instance, the Product Management team should be able to post information about product updates, which is fed to the website, to the contact centre, to retail stores and automatically added to chatbot dialogue managers. It’s usually done through a Product Manager emailing something to a Knowledge Manager, and that then being added at some point to the “Contact Centre’s Knowledge System”. I have seen companies that have a separate (and different vendor’s) knowledge base for their IT department to handle internal problems than that which is used in the contact centre. Yes, there are different data sets – but there are also some overlaps. KMS are designed to handle differing data sets, differing users, and different access rights. Designing it well with all users in mind will reap countless rewards. As per Mistake 7, many companies see knowledge management as a problem of volume. Put in as much as possible, because a more-is-better approach must be correct. Curation ensures that knowledge continues to be relevant, old information is archived and that your taxonomy and metadata is continually relevant. A great example of this is with smartphones – the continual cycle of new operating system releases leads to a major problem in knowing what knowledge is relevant to any given phone that a customer may be contacting you about. Curation means that knowledge is tagged according to the phone and OS version, and therefore the information given to the customer is accurate. In the article “11 Ideas to Improve Knowledge Management in the Contact Centre“, Peter Massey from Budd eloquently describes the benefits of promoting the use of journalistic skills. This is an interesting and important idea. Knowledge is served up to differing audiences, a contact centre, an end-customer, internal teams, marketeers. It is vital that content is well formed, well written, with editorial control for both language and content. It is very easy for keen team members to post all manner of different content in the system, without realising that it may appear live to a customer on the company website. The content may be incorrect (or even brand-damaging) if the correct editorial processes are not in place. Additionally, some brands have a very specific tone-of-voice and will require public-facing content to reflect the marketing requirements of the company. This may require two distinct versions of the content being managed to be able to answer internal and externally facing questions. Finally, well-written, punchy and direct content will have the added benefit of making users want to use the system – that all-important user adoption challenge. So, What Can Be Done to Fix These Issues? As shown above, knowledge management can be tricky, so here are a few ideas about what to consider on the journey. Identify key influencers and enthusiasts and enable them to become evangelists. Celebrate key milestones and other successes (e.g. most used article for the month). Make knowledge contribution part of employee KPIs. Report on knowledge usage and value and make it a key business metric. Ensure that all departments access the benefits of a well-managed knowledge environment. Have knowledge as an agenda item on management and board conversations. Train employees on the process and the system – and make this training mandatory. Start with a vision for what knowledge represents in your organisation. Define and communicate a clear strategy to enable this vision. Develop personas to describe the types of people contributing to and consuming your knowledge. Plan the taxonomy and required metadata with these personas in mind. Define the types of reporting you will require to understand the value and effectiveness of knowledge. Continually test, optimise and develop your processes, systems, reporting, training, and communications based on what you learn from usage data. Monitor system usage to create lots of data about what knowledge is popular. Combine this with disposition data from the contact centre, web self-help, chat transcripts and social media to allow you to develop an understanding of what knowledge is effective, and what isn’t. Develop insights for multiple departments. What does the Product Team want to see? How about Marketing? Create a measurement system that allows an understanding of the value of knowledge. This should consider the effort to create and manage the content as well as the usage data. Measure knowledge over time to give an indication as to when knowledge assets start to devalue and need to either be changed or archived. Do not just keep pouring more and more information into the system without considering whether the content is popular, effective and valuable. Understand when knowledge has reached the end of its usable life and archive it. Realise that data is the key asset required for curation, and structure it well. Understand that knowledge can be sourced from anywhere, but that doesn’t mean it should be. Identify trusted sources and ensure that you understand the efficacy of the information. Regularly review and modify the taxonomy and metadata based on your market, your customers and the ultimate purpose of your knowledge management environment. If you are planning on implementing a digital service strategy, or an omnichannel strategy, ensure that knowledge management is a core component of that strategy. Even if these initiatives are managed by another part of the organisation, it is critical that the overall knowledge management requirement is encompassed within the project. Managing it independently will lead to many pain points. Remember that one of the primary purposes of a digital service strategy is to empower employees (and customers) with information, and to ensure that it is consistent no matter how they contact you or where they look. Do you have any further suggestions or tips? This article was written by Craig Rich, the Founder of ThreeDotZero Studios, a customer experience specialist focused on the new generation of consumer and prosumer electronics.